HEALTH TIP: Bicarbonate of Soda (aka sodium bicarbonate, NaHCO3, and baking soda) is a simple low-cost substance that is a useful remedy for a variety of ailments and chronic diseases. Discovered in 1840, baking soda (not to be confused with baking powder which typically contains aluminum) is a proven treatment for flus and colds, and recently this amazing substance has been in the “spotlight” as doctors like Tullio Simoncini and Mark Sircus have used it to treat cancer patients. Perhaps the success is due to the fact that baking soda floods the cancer cells with a shockwave of alkalinity and oxygen, thus reversing the hypoxia (lack of oxygen) which is always associated with cancerous tissue. Or perhaps it works because a comparison of cancer tissue with healthy tissue indicates that cancerous tissue always has a much higher concentration of toxic chemicals and pesticides than normal tissue, and sodium bicarbonate possesses the property of absorbing heavy metals, dioxins, and furans. Perhaps it’s a combination of the two. Baking soda has a plethora of additional uses. 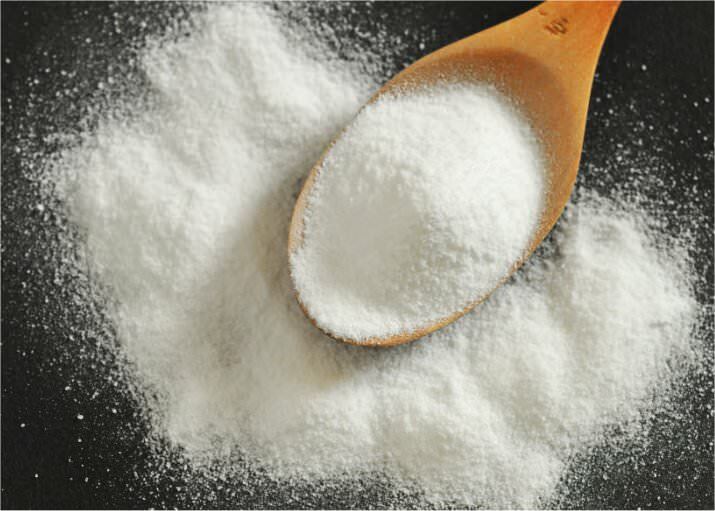 Baking soda is commonly used as an antacid for short-term relief of an upset stomach, to correct acidosis in kidney disorders, to “alkalinize” urine during bladder infections, and to minimize uric acid crystallization during gout treatment. It is frequently used to purify air inside refrigerators. We’ve all seen the opened box of baking soda in the fridge door, haven’t we? Keep a container of baking soda in your garage as well as in your car to put out a fire, since it will extinguish a fire without damaging anything else it touches. It also works as a deodorizer for carpets and other materials and can be used for laundry and as a household cleanser (when mixed with vinegar). The baking soda/vinegar mixture will even unclog drains! And if you have itchy bug bites, try using a poultice of baking soda and vinegar. Get rid of those toxic antiperspirants and replace them with baking soda. The same goes for those fluoride-filled toothpastes. Try brushing and cleaning your teeth with baking soda and hydrogen peroxide (H2O2). Yes, baking soda is one of the most versatile substances that everyone should have in their medicine cabinet.